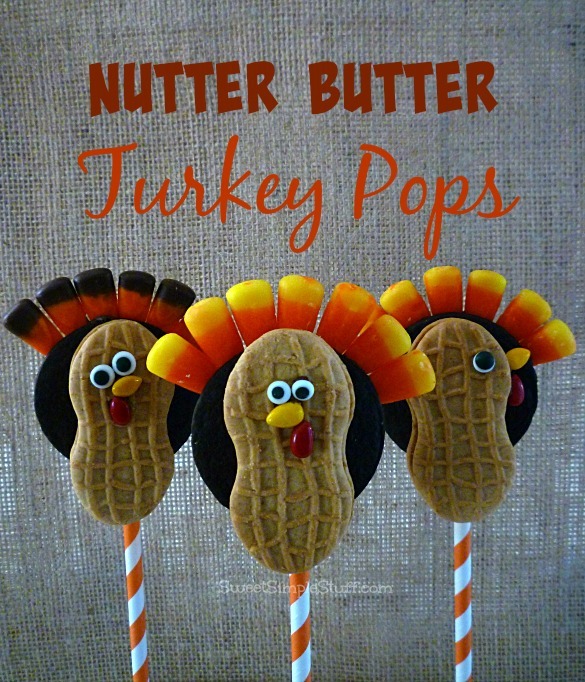 Nutter Butter Turkey Pops are not a new idea, but this is the first time that I’ve made them! 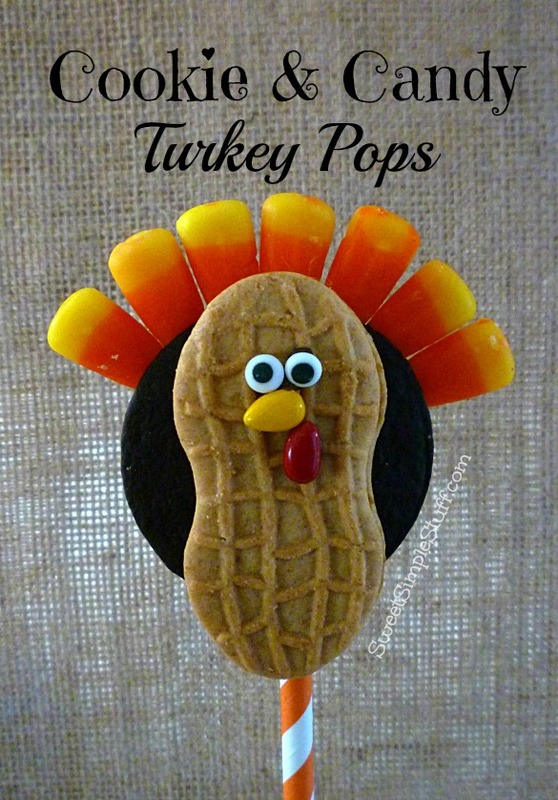 These pops are the perfect Thanksgiving treat for everybody. 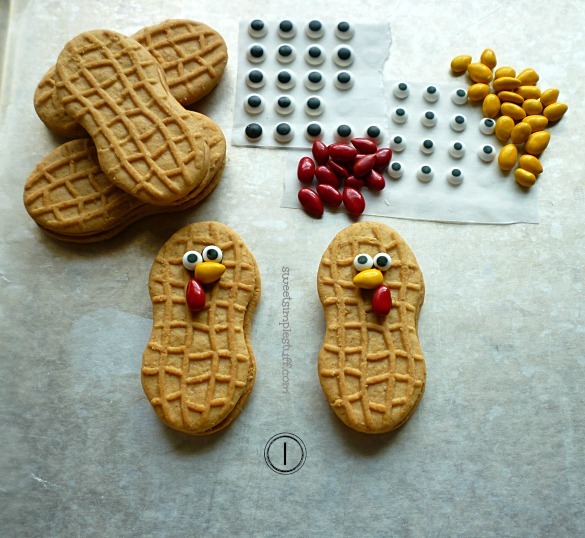 Use the turkeys as a take home favor … sweet treat! I had fun making these little guys … change the faces or tail feathers … there are no rules! Have you seen the different flavors of candy corn available … caramel apple, gingerbread, pumpkin spice … too many to name! This project is pretty fast and easy … as usual. 1. 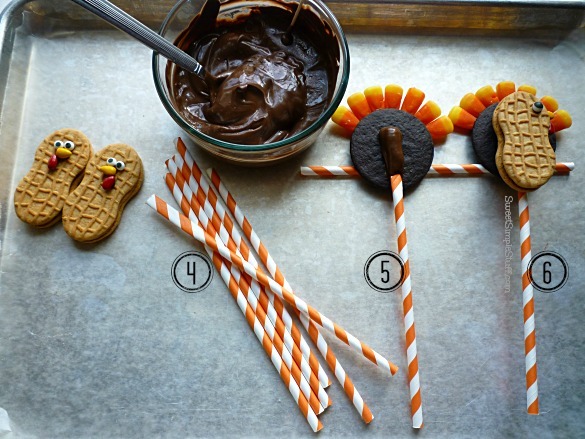 Use a toothpick and dot of melted chocolate to attach candy eyeballs and sunflower seeds to the Nutter Butter … have fun with the eyeballs, they are goofy little turkeys! 2. 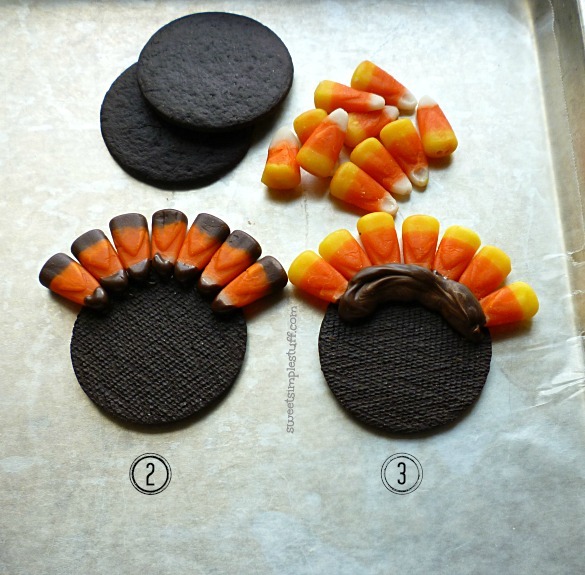 Dip the small end of the candy corn in melted chocolate and arrange them close together on the bottom side of the chocolate cookie. 3. Add a little extra chocolate to reinforce the “tail feathers” and let harden. 4. Flatten the end of each paper straw (about 1 1/2″ – 2″). 5. I placed an extra under the chocolate wafers to help balance them. Dip the flat end of the straw in melted chocolate and lay it on the chocolate wafer. 6. Add a Nutter Butter immediately and let the chocolate harden up before moving the pop. 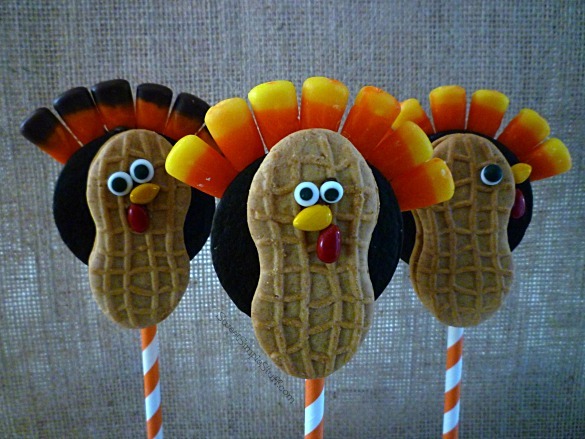 Make these pops … impress your family and friends … then shake your tail feathers! these are super cute. I like the front facing turkeys better but it’s clever to do the profile view too. Thank you Krystal 🙂 My favorite is the front facing too … thought I would give options! Adorable and such a fun idea to make with the kids. That makes me happy, happy, happy ;). Thank you!